The Google Glass attract the attention of all people and with good reason: With its augmented reality technology, we will have literally before our eyes all the necessary information to interact with our environment and access to any type of information. Several developers already working on their applications for the Google glasses, and the microblogging social network, also prepare its app for Google Glass. The information comes from Kleiner Perkins; a firm dedicated to supporting entrepreneurs and, in turn, financed the creation of Twitter. The company, created Glass Collective, a group aimed at supporting those who develop applications for Google Glasses, and among the participants are some famous like Twitter, Path and Evernote. 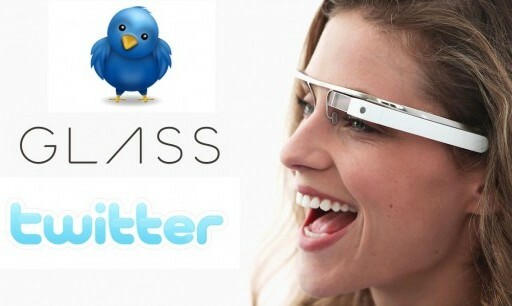 The integration of Twitter with Google Glass looks interesting: Imagine access to your Twitter timeline steadily and without having to take your phone, with valuable information and real time before your eyes. Also, tweet what we see almost instantly taking advantage of features of the Google Glass looks very attractive and could further enhance the role of Twitter as the average citizen. At the moment, there is no confirmation from the microblogging network, but the fact is that the development of a proper application for the Google Glass is obvious, to further expands its presence in all types of gadgets.